VBS, or VBC (Vacation Bible Camp) as we call it at our church, is the highlight of the year for most children ministries. It’s usually when many families and kids from the community see your church for the first time and it’s always a great opportunity to reach kids with the Gospel. As a student pastor on a church staff I see the amount of time and energy the children’s ministry staff puts into VBS. 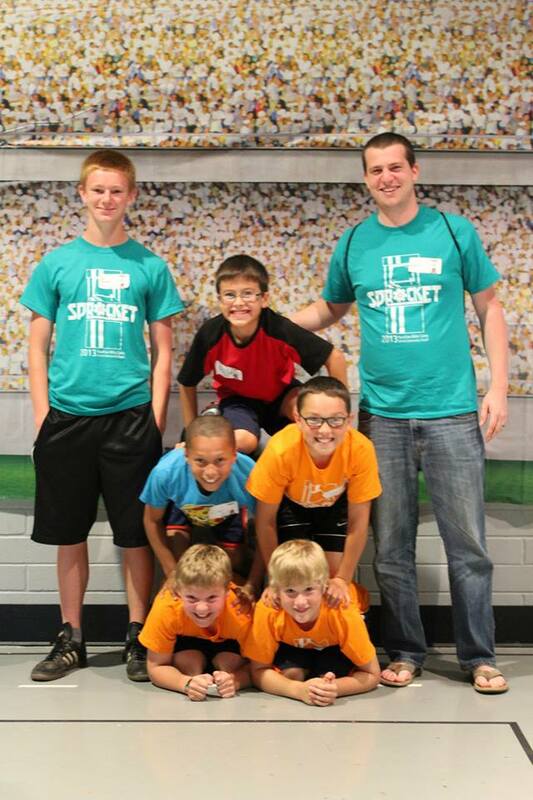 Last week we held our 2013 summer VBC and I decided I should volunteer. I enjoy working with kids, but couldn’t do it as a job like I do student ministry. However, I enjoy volunteering for a week and I believe every student pastor should at least think about volunteering in their churches VBS. Here are a few reasons why. 1. The kids are your future students. The kids that are part of VBS are your future students. So why not volunteer at VBS and get some face time with them before they are even in your ministry! This way the kids know who you are and most likely will look forward to being in your ministry once they are old enough. I decided to volunteer with the 5th grade kids knowing I will have them in our middle school ministry in another year. 2. Children’s ministry staff needs your help. Let’s face it, the children’s ministry needs as much help as they can get during VBS week so help them out! Don’t use the excuse that your too busy because your already on the church staff doing ministry. The adults that are volunteer for VBS have full-time jobs too and they are still volunteering! Lead by example, step up and volunteer during this week of ministry at your church. 3. Enjoy ministry outside your normal ministry. Volunteering at VBS is a great way to remind yourself that student ministry is not all there is out there. It’s just one ministry of the church among many others. Volunteer for VBS for the simple fact of enjoying new ministry experiences. You do student ministry full-time, enjoy a week doing ministry that isn’t student ministry. It’s refreshing and a great reminder of how broad ministry really is. 4. Be an example for your students that may volunteer. Many of your students may end up volunteering in VBS and many of them may want to. Lead by example and volunteer yourself. Show them you enjoy doing more than just hanging out with teenagers. Show them how to love on kids, share the Gospel, and point them to Jesus. Also, it’s a great way to do ministry side by side with your students. These are just a few reasons I think it’s good for a student pastor to volunteer in their churches VBS. I understand you are busy and student ministry never stops, but take a step back and do something out of the norm. Good stuff, Austin! I’ve been loving this crazy busy summer of Children’s Ministry, so far we’ve had 1 week of evangelistic Bible clubs, we’re working on the 2nd of 3 Sundays that are special (kind of like VBS meets Sunday School and Children’s Church), and have yet to start VBS and Camp. The roles of ministry have shifted from a lot of adults taking the time off (which is a good thing, they do a lot during Spring, Fall, and Winter), and the young adults and youth are doing a lot of volunteering. It’s a great opportunity to serve alongside of students and give them the ministry hat to wear. I agree. Getting students involved with ministry in the local church is huge! VBS is always a great way to get them exposed to ministry. Hope things are going well down in NC for you and your wife! Things are going well! So much to learn about youth ministry, but it’s been a good 10 months or so that we’ve been working in our current ministry.